Our stunning Evil Queen is 23 inches tall. She has the same body as our gorgeous Divas and Ballerinas. 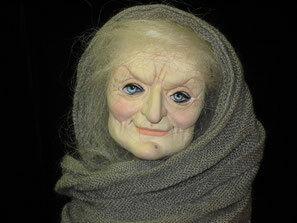 transform her from the Evil Queen to the Wicked Witch by means of the beautiful hand sculpted mask. 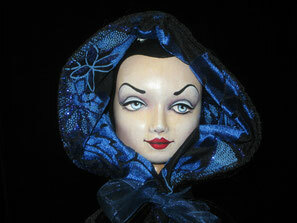 A perfect addition for Snow White, or any other doll that needs an evil villain or for the Halloween enthusiast. 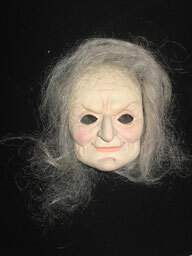 The hand painted resin mask is created and made in house by us. 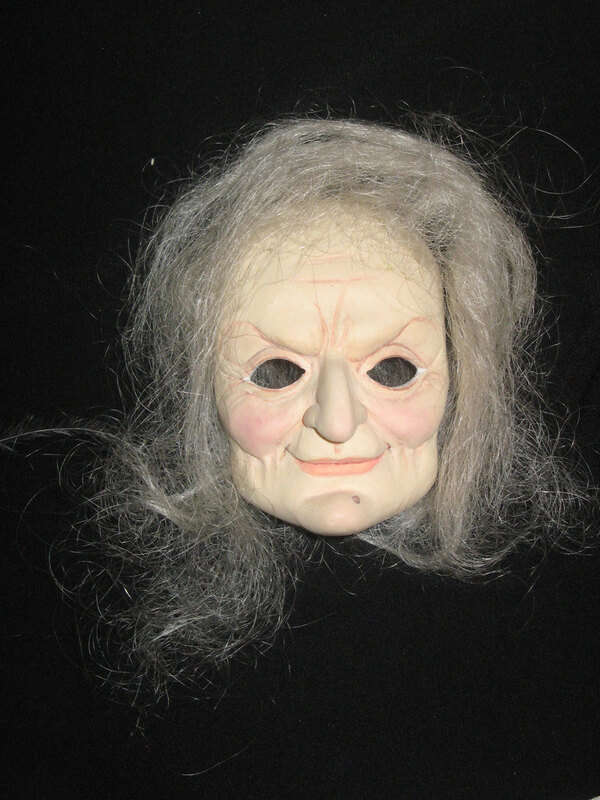 The mask slips over the Evil Queen's face transforming her into a scary and spooky wicked witch, perfect for Halloween. The Evils Queen's eyes look out through the mask. She stands on a hand made polished bronze base. We only have 5 masks available.